Analyzing website traffic is now easier as Google finally launched their new Search Analytics report. The new feature within Google Webmaster Tools will be replacing the old Search Queries report in the coming months. Search Analytics still performs pretty much everything Search Queries does, but with new functions, specifically with data and filtering options. The new reporting tools lets users break down their website’s search data and filter based on more criteria, such as comparing mobile versus desktop searches and comparing mobile traffic pre- and post-Mobilegeddon. For sites that cater to an international audience, the new tool makes it easier to see which countries are making more searches about the brand through the “impressions” metric. Google says Search Analytics provides more accurate data that are calculated differently than the old Search Queries report. To give webmasters time to adjust from the old report, Google will keep Search Queries for the next three months. After that, everyone will have to move to Search Analytics. More information about the new tool and its features are detailed in the Search Analytics Help Center article. In another post this week, Google also announced the release of their new ad units for AdWords. The new ad units will allows marketers to target ads and convert mobile users like never before. 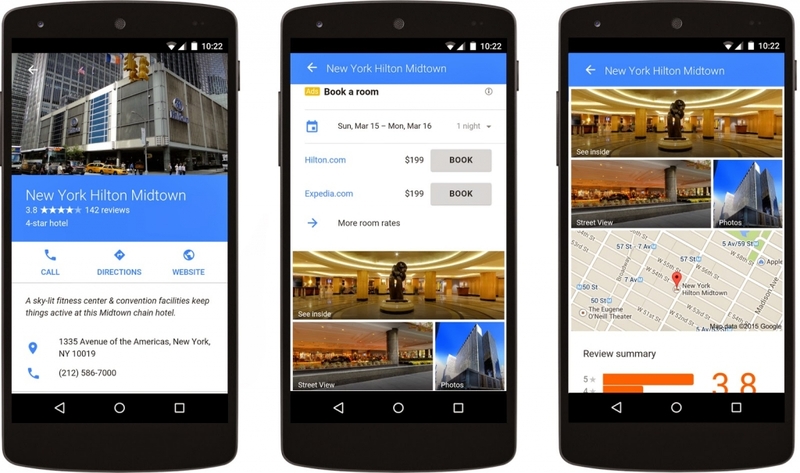 Mobile users searching for automotive, hotel, and mortgage ads will now enjoy a richer, more engaging experience, as they can buy or book right from within the ad unit. A new cross-device conversion tracking function allows marketers to track customers as they switch back and forth between desktop and mobile. This will let marketers attribute revenue to ad spending based on which device customers end up making a purchase from. Another new feature is the ability to measure when an ad click turns into an in-store visit. This feature, however, is currently only available in the US, Canada, and Australia. More details about the new ad units are available in the Inside AdWords post. All the more reasons to improve your site’s mobile-friendliness and marketing strategy. Keep checking back for more news and tips. We always strive to keep our partners updated.